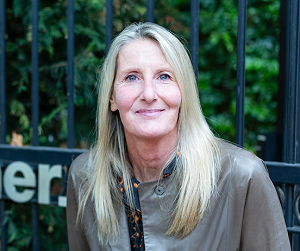 Karen is of the three founding partners of Pearlfisher, one of the world’s leading international independent design agencies with studios in London, New York, San Francisco and Copenhagen. Recognised in the industry as a curious and creative explorer – Karen drives Pearlfisher to continually question the possibilities and to create work that breaks new ground. Karen surrounds herself with brave thinkers and believes that those prepared to take a risk, are the ones to create real change. Named in the Top 10 Global Female Inventors, Karen’s passion is innovation and turning great ideas into action is her speciality. Her patented inventions include 37º a range of temperature-regulating baby clothes featuring NASA-developed fabrics that picked up awards all of the world. Most recently, Karen undertook her most challenging but ground-breaking project to date with the creation of the gold award-winning Pearlfisher Garden, highlighting the impact of ocean plastic at the 2018 Chelsea Flower Show.